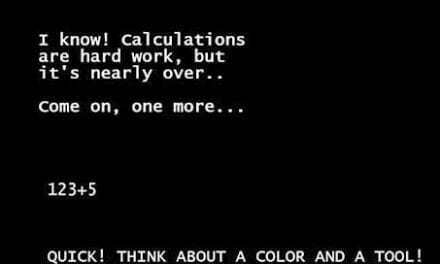 Make sure you’re not there between October and December. 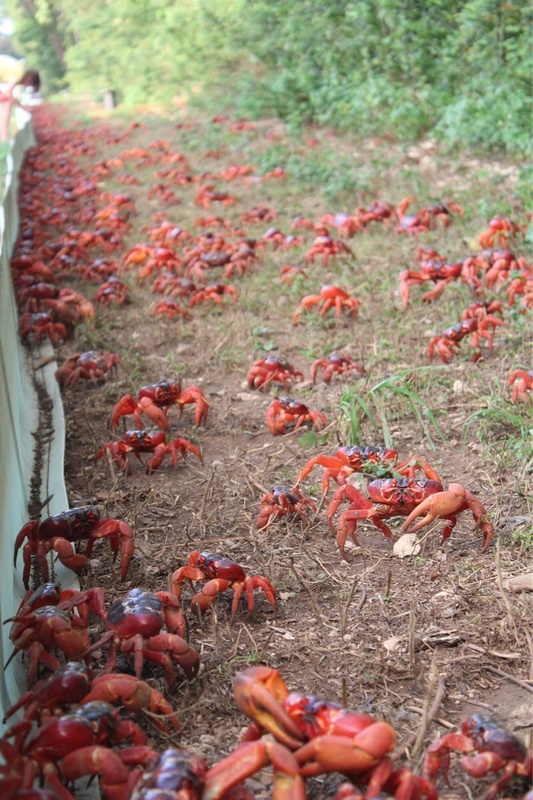 Because for those two months, the entire island is overrun by millions of crabs. 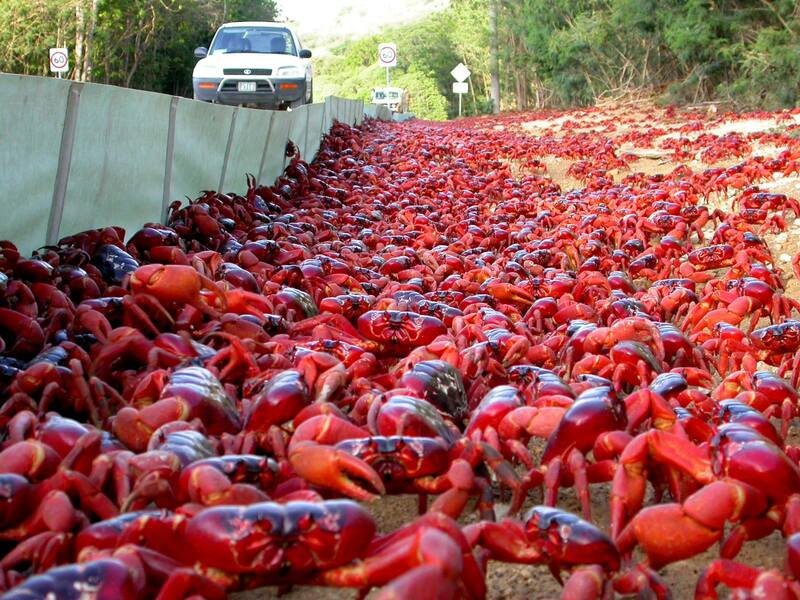 The red crabs of Christmas Island are normally forest dwellers. However, they make the long trek every year from the island’s forests to the beaches. 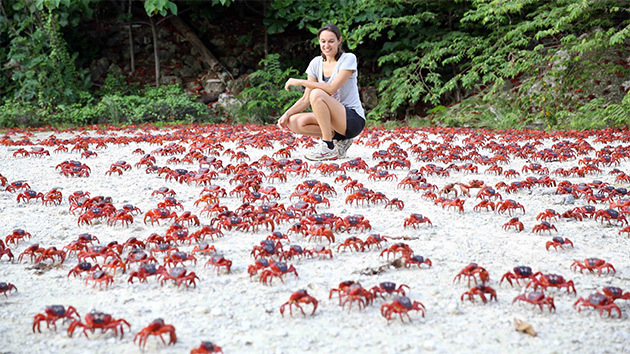 During this time, the entire island is overrun by the crabs. 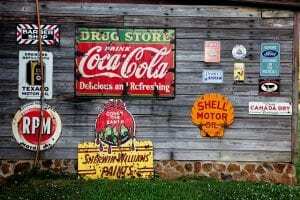 There are so many that local authorities have to shut down the roads during their migration. 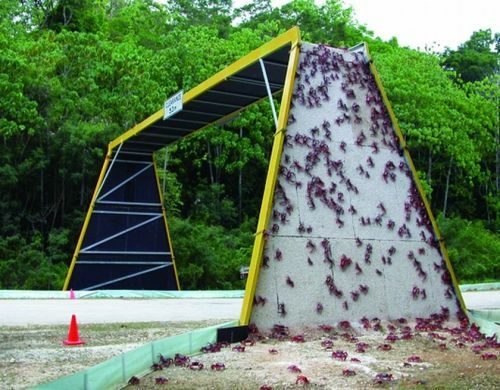 They even install special crab bridges in some places to make crossing certain areas safer for the crabs. Once the crabs make it to the beach, they only have one thing on their mind: mating. The journey to the beach takes about a week to complete. Once there, the crabs pair off and mate. 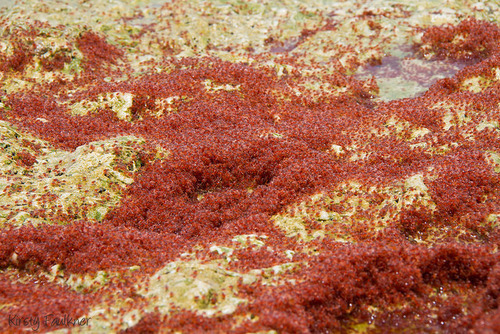 After mating is finished, the females stick around on the beach for another two weeks with their eggs. Around December 18-19, the females lay their eggs, which are swept out to sea with the receding tide. 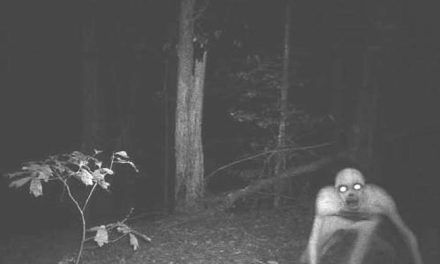 They then begin their journey back to the forest to rejoin the males. The eggs hatch almost immediately once they’re out at sea. The larve (at they’re called) live at sea for about a month. 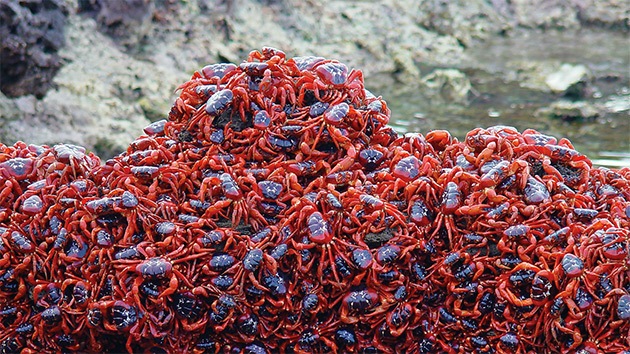 After that, they return to beach as young crabs, and begin their journey back to the forest. 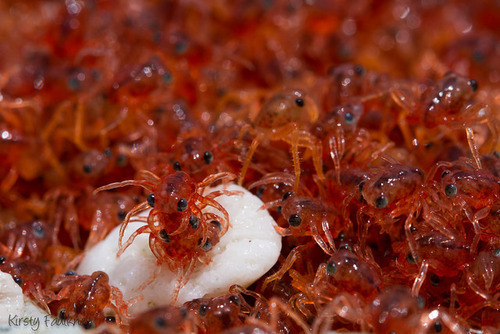 The juvenile crabs are actually kind of cute looking. 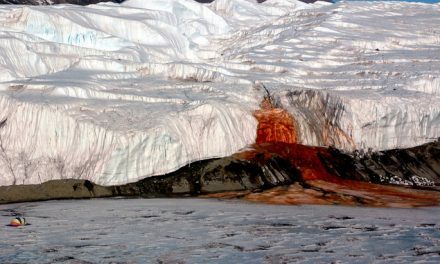 While this ritual of nature sounds amazing, it’s being threatened by the forces of climate change. 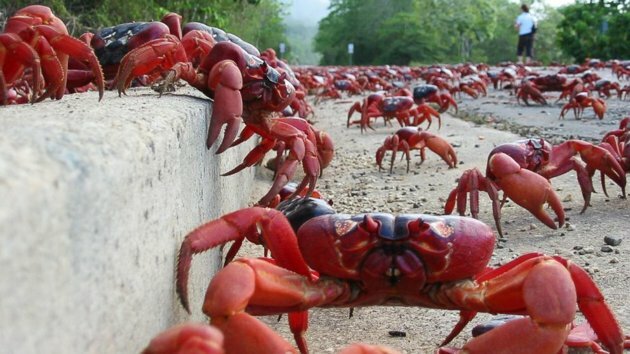 Every year, it’s the monsoon rains that trigger the crabs’ migration. 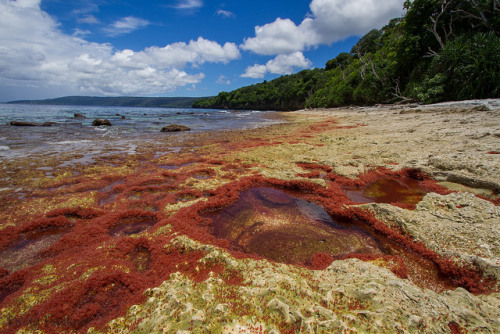 However because of climate change, rainfall on Christmas Island has become more sporadic in recent years. 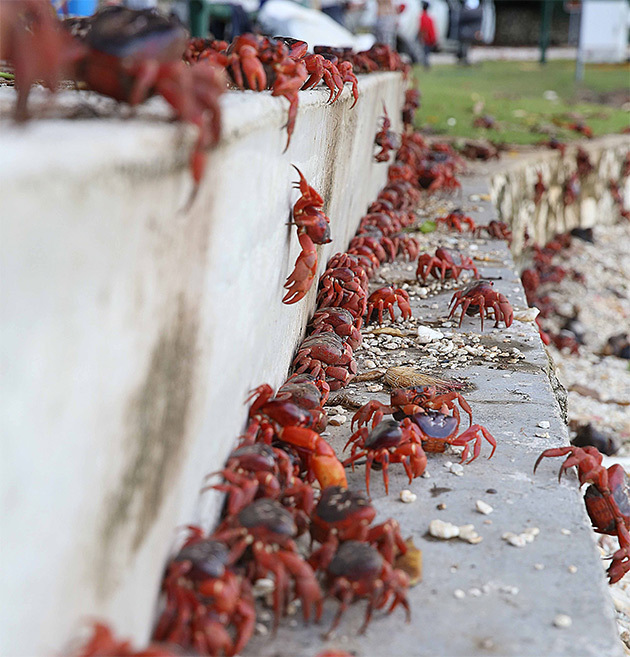 It’s possible that if the island’s rainfall is disrupted even further by climate change, the crabs might not know when to make their traditional migration to the beach. Just sipping on some trendy stories . . . These People Didn’t Want A McMansion. 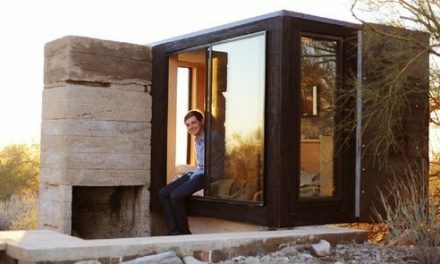 Instead, They Live In Tiny Houses.